Bioactivity Measured by neutralization of interferon in cytopathic effect inhibition assay. *Please note that these applications are presented for suggested use only and have not been fully evaluated by PBL. The Type I interferon receptor is a heterodimer consisting of IFNAR1 and IFNAR2. 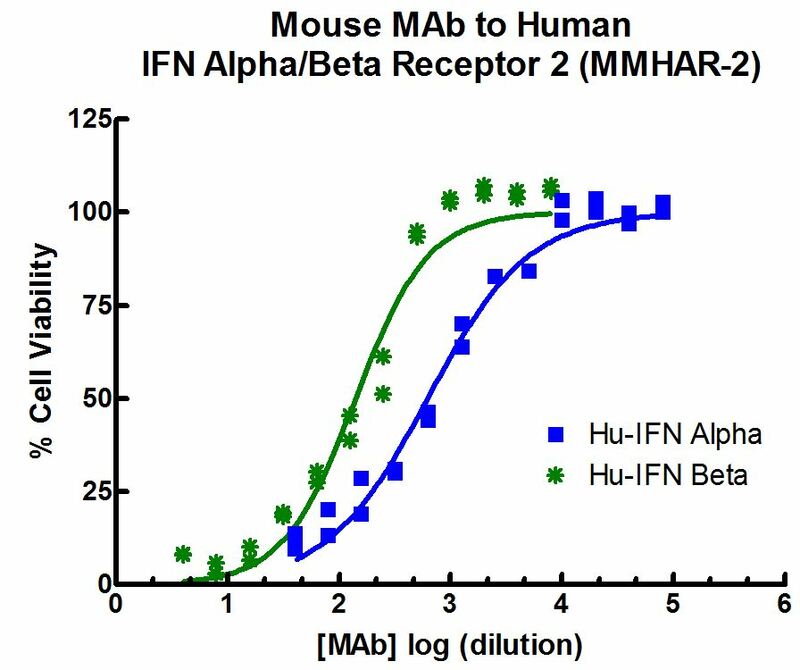 The IFNAR2 subunit provides most of the binding affinity for IFN and IFNAR1 is required for optimum signaling. Colamonici, O.R. et al. (1993) J. Biol. Chem. 268: 10895-10899.